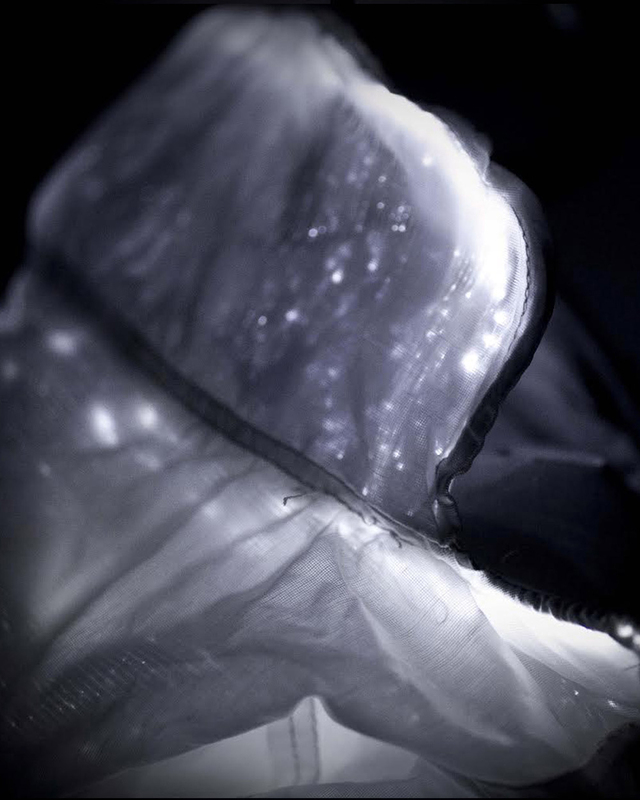 (Strobe lights) The Nemen L.E.D. 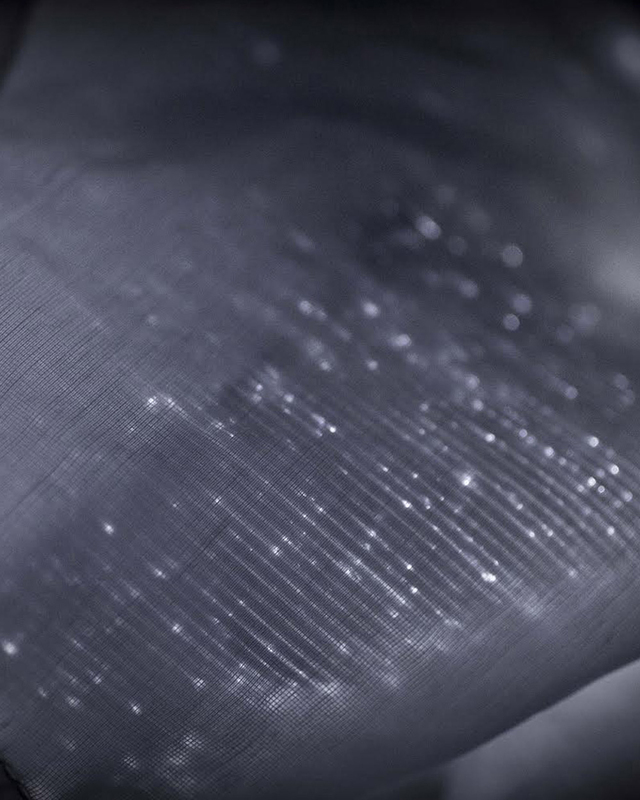 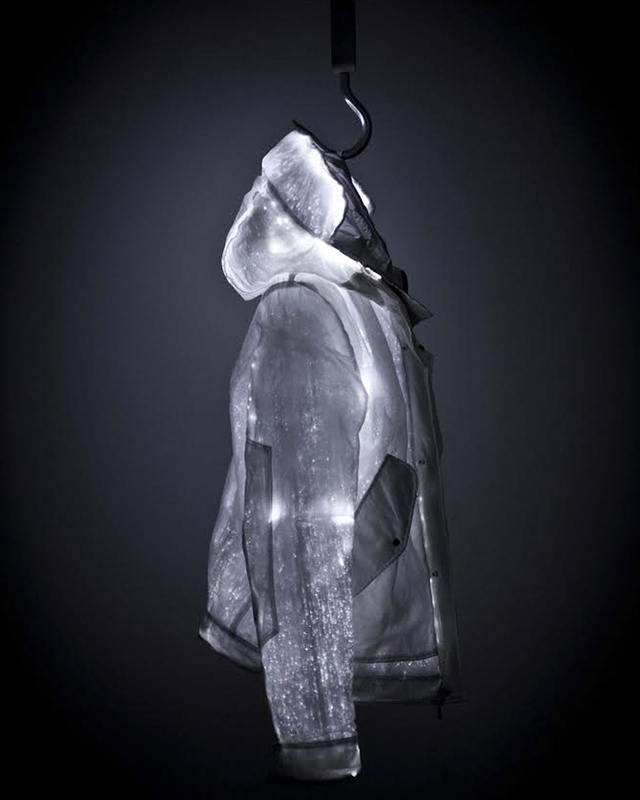 jacket has optical fibers woven within its fabric to let the light from 12 LEDs spread throughout the jacket. 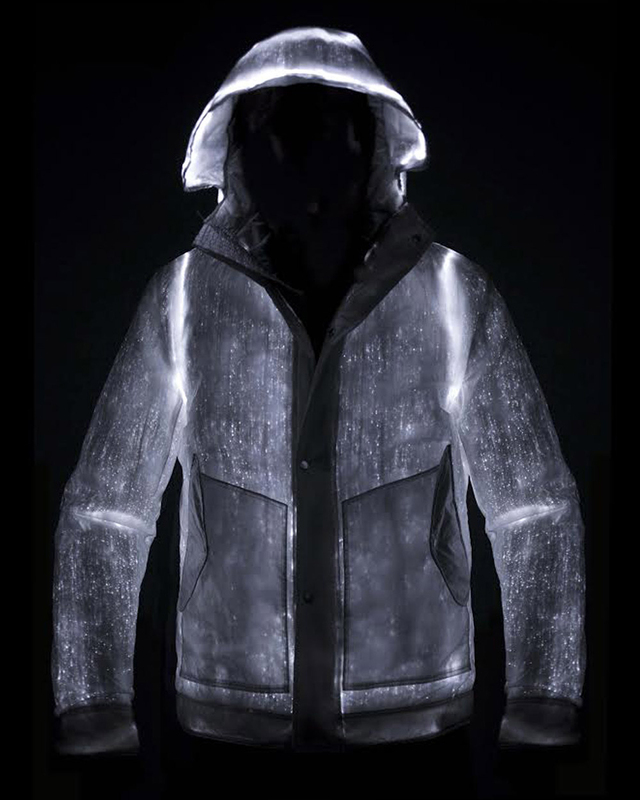 The nylon and steel outer fabric is coated with a transparent film that enhances the lighting.